In this episode, I get the opportunity to interview a very special friend and colleague who I met in a yoga class a few years ago when I moved back to the Bay area. Meredith Cameron is an international yoga instructor and the founder of Yoga Stability®. She leads international yoga retreats and is named by Yoga Journal as one of the top yoga instructors to practice with and follow on social media. We dove right into our conversation; no surface talk here. It’s real life stuff and no fluff filler. 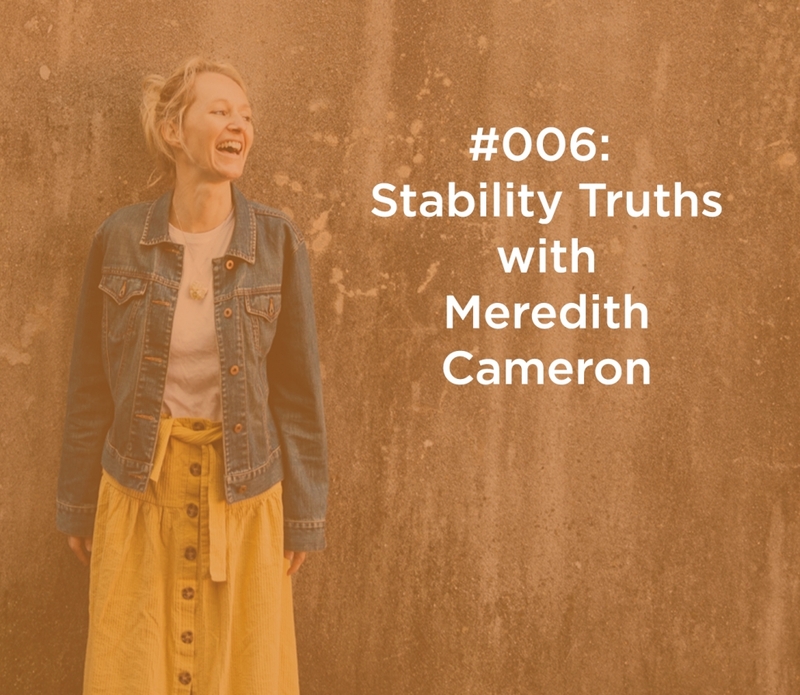 Meredith shares openly about her healing with Lyme disease and what it takes to stand in your truth even when it is so so uncomfortable. Why living with Lyme disease has opened new possibilities for Meredith. How this healing journey with Lyme disease has brought new teachers forward her life. Her practice of gratitude and how it sets the tone for beginning her day. Learn what “full life yoga” is and how Yoga Stability® is changing lives. Hear about her daily spiritual practice of changing her story and habits. How your habits in your body mirror your choices in your life and how to stand in your own truth. This was the best hour I spent all year! So glad that Meredith shared on her FB page. Thank you so much for listening and sharing Kathryn! Did you have a A-Ha or takeaway from the conversation?